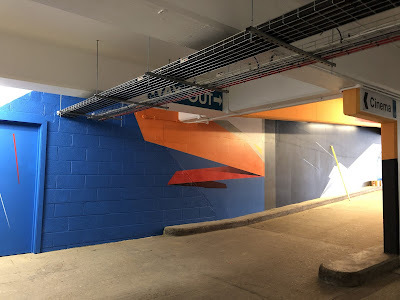 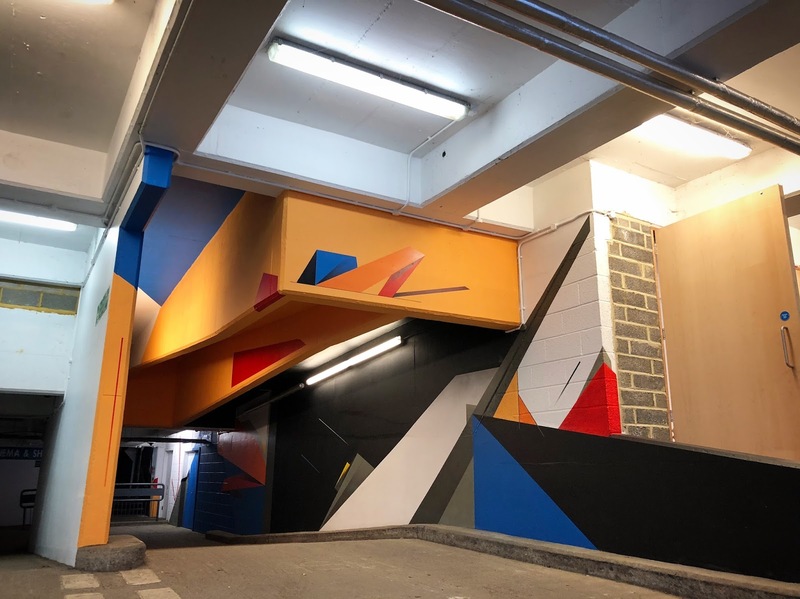 An entrance into a parking lot painted in various colors in London. 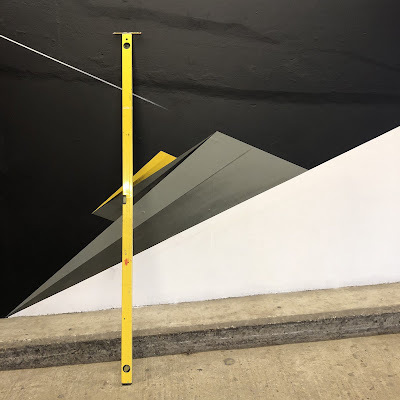 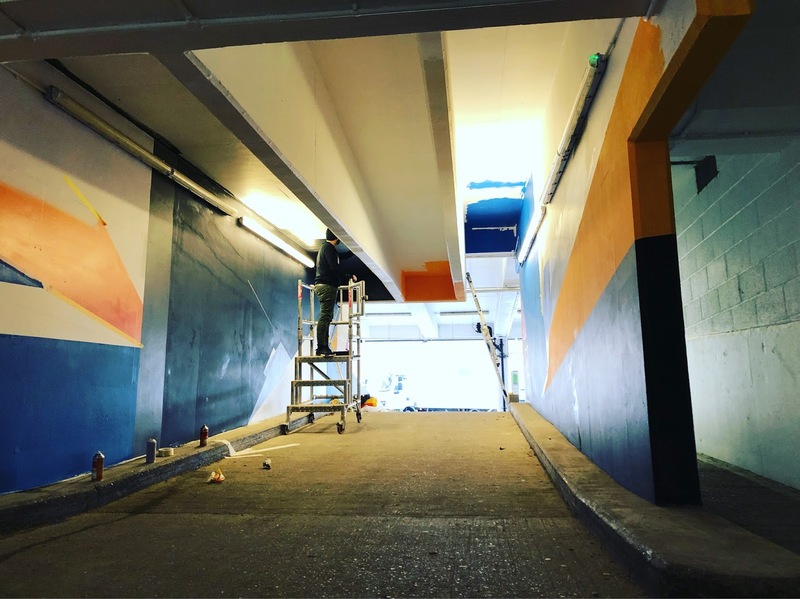 Peckham Levels is an old car park that has been turned into a new hub of restaurants, studios, and co-work spaces. 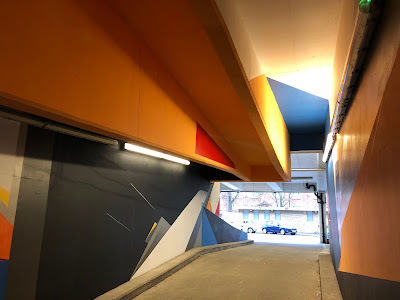 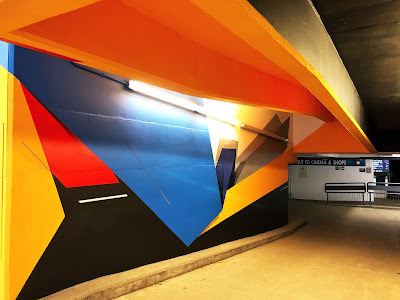 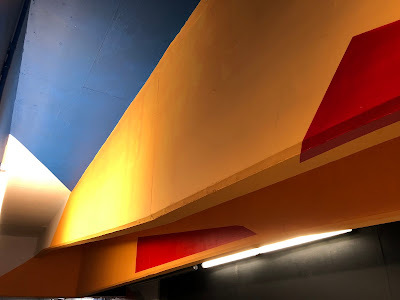 Remi Rough has transformed the entrance way into one of his geometric mural wraps.